I recently had the misfortune of having to deal with a detached passport cover. I thought it was no problem and didn't think I had to have it fixed. In fact, when I saw that the cover was detached, my first impulse was to fix it myself by stapling it back to place. It was a stupid idea and I was glad I didn't have any stapler available when I had that urge to do it. It would have rendered my passport unusable right there and then. The last page of the passport actually states that any unauthorized alteration, addition, etc. are strictly prohibited and would render the passport invalid. It was part of the "Important Reminders" that I never bothered to read. My passport was still intact as far as I can remember just before the guy from the Malaysian Airlines counter handed it back to me. I'm pretty sure he was the one who messed it up. But I found out later that this was a known issue for Philippine e-Passports. The Department of Foreign Affairs (DFA) acknowledged that the cover could easily tear. So they have advised those affected to go for replacement immediately. They said that they have altered their production to provide spine reinforcements to make the passport stronger. But since I only found out about my detached passport cover on my way to Malaysia, I had no choice but to try and use it. 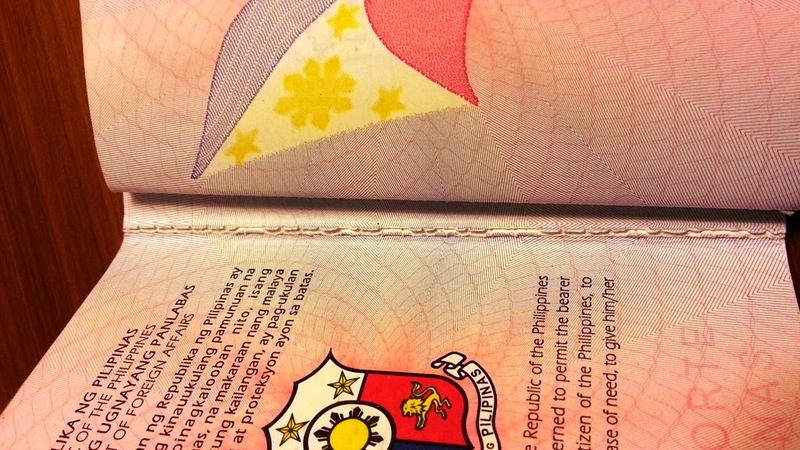 The Philippine immigration officer saw the detached passport cover and asked me to sign a waiver which basically states that if I would have problems with my port of destination, it would not be their fault but mine since I decided to travel with the defect. Luckily, I didn't encounter any problems. But I decided that I cannot take this risk and would have to get the passport fixed. Before I went for the replacement, I wanted to know if I needed to set an appointment first. I didn't want to waste my time getting to DFA only to find out that I will be asked to return with an appointment setup. I decided to inquire using the Facebook page of the DFA for passports and through their email, passportconcerns@dfa.gov.ph. Both provided answers which are basically different from each other. The Facebook page said that I needed to treat it as a new passport application with similar requirements which turned out to be false. I'm glad I trusted the email response which stated I had to proceed to the Pending Unit of the Passport Division at DFA ASEANA. For those of you who would like a clear and concise list of what to do, here's what I did. Proceed to DFA ASEANA. Bring a photocopy of the passport. Line-up for the passport evaluation to check the detached passport. Fill-up an application form for passport renewal and submit together with the photocopy. 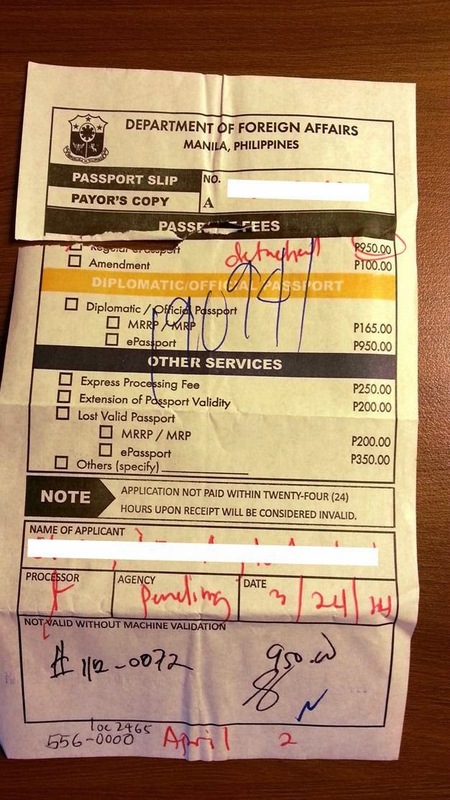 I was asked and proceeded to pay 950 pesos for the 7 working days processing of the passport. I didn't choose the home delivery since I was in a hurry to get the passport as early as possible. I lined up for the photo and information gathering for the new passport. I went back to the Pending Unit and submitted all the forms back. I was asked to return after 7 days to pick up the passport but not before I call first to confirm the passport availability. I was instructed to call the hotline 02-556-0000 which didn't work at all. I can get through after a long wait but once the operator transfers the call, no one answers it. It was very frustrating! Luckily I tried the hotline posted on the DFA ASEANA building which is 02-834-3222. After some explaining, I was transferred to someone who was able to finally confirm the availability of the passport for pickup. My application for renewal was done on March 24 and luckily I got the new passport exactly 7 working days after on April 2. Looking back, I resent the fact that this issue can be traced back to a production vulnerability. It was the problem of the Philippine government agency involved. 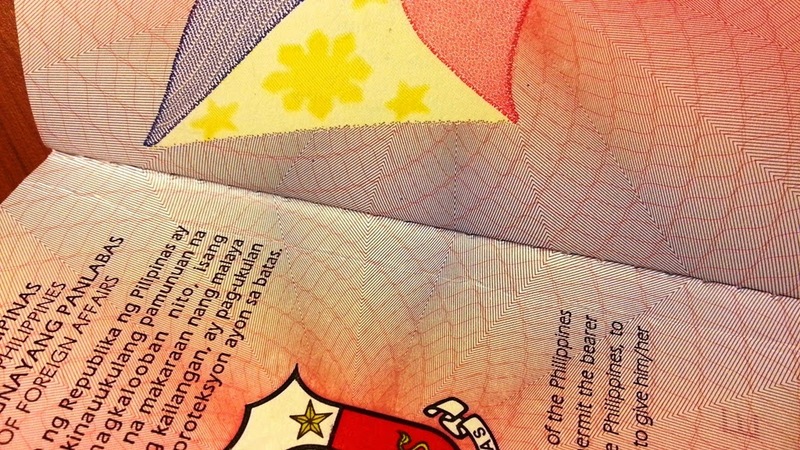 But for Filipinos affected, we will have to spend time and money to get our passport fixed. Adding more difficulty is the fact that no information is readily available to guide those who want to fix their passports. I hope this article will help in some way to address that concern.